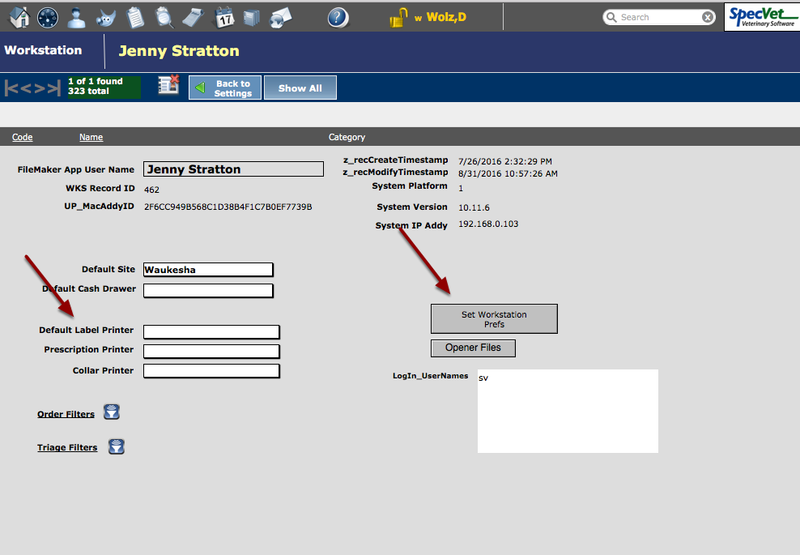 A workstations label default label printer location is managed under workstation settings. Various workstations printing preferences can be chosen in this section. Default Label Printer, Prescription Label Printer and Collar Printer can be selected. You want to select the correct one as each type of label printer has different label stock. 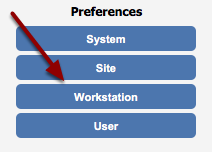 After selecting the various defaults set them by selecting the "Set Workstation" Icon to the right. Your default printer for printing on 8.5 x 11 paper is controlled at the OS level of your computer.